After the announcements of MSX World 2005 and an invitation to attend the fair as a member of Bazix, it took me quite a while to get things arranged. Only two weeks before the fair was going to be held, I was able to get my finances straight, book a flight and get a room in a simple hotel in the Jimbocho district. As I would arrive in Tokyo during the 'Golden week', a week during which the Japanese have several celebrations and days off, especially the latter wasn't as easy as usual. Still, on May 3rd, I was boarding the plane that was to take me to Tokyo (via Zurich), and nothing could stop me from a 2 week stay in Japan. On May 4th, early in the morning, I arrived at Tokyo Narita airport where Mr. Yokoi and Mr. Urata were already waiting for me. It was not hard to spot them. Not only had I met them several times before, Yokoi was also wearing an MSX T-Shirt under his suit. After a warm welcome, they took me to Yokoi's office in Oshiage, Tokyo. We traveled by car, in Yokoi's Daihatsu Move - directors edition. Riding in this car is an experience on its own. The state of the art navigation, internet and entertainment system, the MOMO steering wheel, the luxury seats, driving through automatically opening tollgates with about 50km/h with the gates opening just before they'd hit the car if they would not open for any reason... yup, things like this only seem possible in Japan. During the more than 1 hour trip we listened to the Konami MSX Shooter CD of the Game Sound Legend 8cd box-set, a CD which is the result of cooperation between Konami, MSX Association, D4 Enterprise and Primitive sound. At Yokoi's office, I got a first glance at the most recent version of the One Chip MSX and got the time to play a few games on it. As expected, everything worked without a single problem or glitch. Whilst playing Nemesis, Yokoi handed me a copy of MSX Magazine 3. From the looks of it, this is one of the most interesting MSX Magazines released so far. 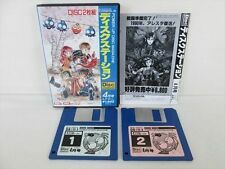 Information on the V9978, an interview with Hideo Kojima, an interview with Mr. Uehara (SCC composer), Mr. Nishi in dialog with Mr. Shima, the developer of the Z80, an interview with the voice actress of Princess Maker and information on MSX in Russia and Arabic countries with some great never-seen-before pictures, like an MSX being demonstrated in Irak with a picture of Saddam Hussein in the background. The layout of the magazine also seemed (even) more consistent and professional than the layout of the previous magazines. All in all, I could only be very impressed about both the Magazine and One Chip MSX. Then it was my turn to show a few recent developments from Europe. We played Rally-X (of which Yokoi couldn't believe it was coded in only 8 lines of BASIC, so I had to demonstrate it on a real MSX, booting it again and again to prove it could really be done), had a look at Sphere and Wings and had quite some fun with Yupipati and Hot Numbers. Then, the time had come to have some lunch and go to my hotel, where I took some rest. After all, it had been a 16 hour trip from Amsterdam's Schiphol airport to Tokyo Narita airport alone. As I (or better: SWISS Air) had lost part of my luggage, I had to go into town at night to print some new business cards (essential if you want to do business in Japan!). I decided to call Bernard Lamers to ask him if he knew where I could print some. We agreed to meet in Shibuya and decided to have a few drinks in this hip district of Tokyo. We talked on and on about MSX in the 90s, the MSX revival, some of the conflicts within the MSX community in the past and present and Bernard told me about some of the articles published in MSX Magazine 3. 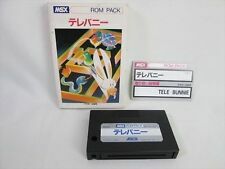 The most interesting information was about the V9978, for which ASCII has actually developed a version of MSX-BASIC. Unfortunately, a conflict between Yamaha and ASCII resulted in a cancellation of the project, and changes to the V9978 architecture (mainly removing a lot of MSX compatibility) finally lead to the V9990 video chip. Not with a little pride, the article concludes that, with the GFX9000, the MSX users made the V9990 an MSX VDP after all, concluding that the MSX Community themselves will always have a final say in what the future of MSX is going to look like. Bernard and I talked on and on until we had missed the last metro back. I walked with Bernard to Roppongi, the disctrict he lives in, and after saying good night, I took a cab back to my hotel in Jimbocho.